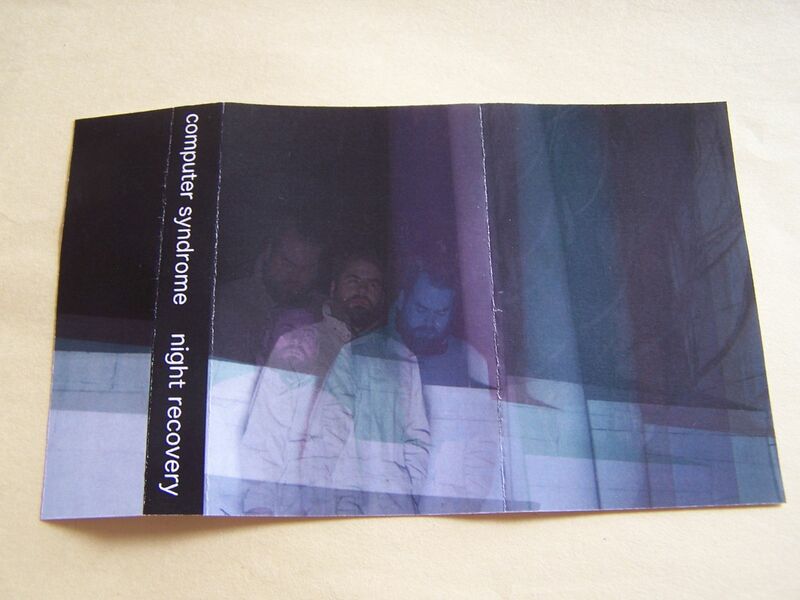 Raised by Gypsies ::: Cassette Review: computer syndrome "night recovery"
Cassette Review: computer syndrome "night recovery"
For the name computer syndrome you have to know that these sounds are going to be similar to that of a computer, even if they are not exclusively made as such. 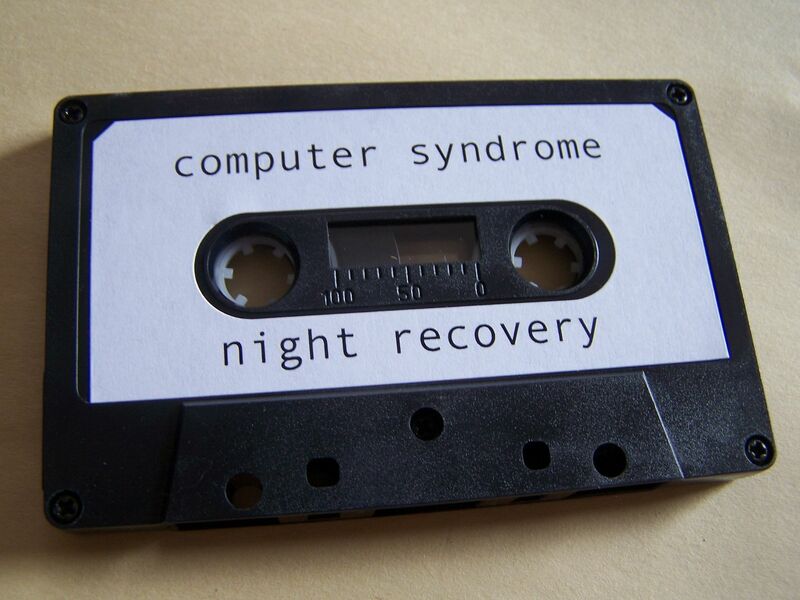 The cassette "night recovery" does not disappoint either as it does have that vibe to it where the machines have finally taken over and we are now their servants, forced to listen to this music on their programmed radios as we slave away. 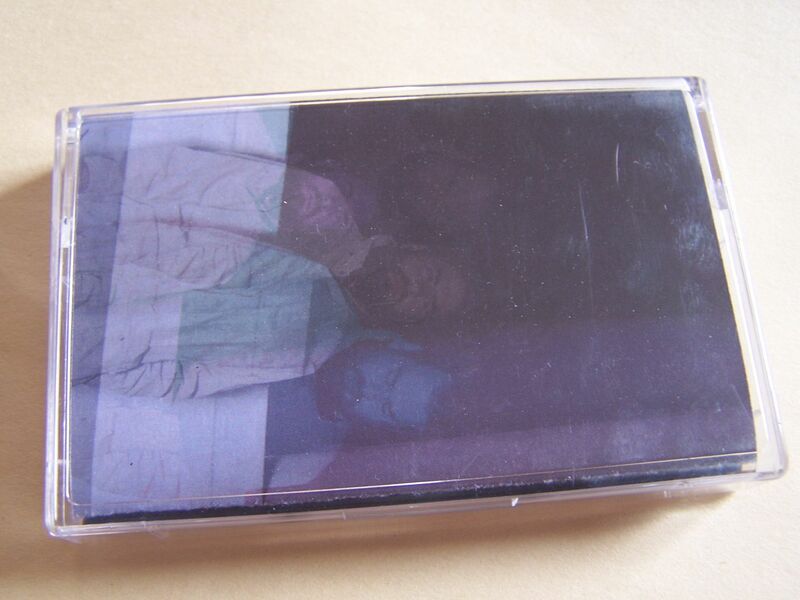 Side A begins with a ringing modem static and there are moments where it becomes sharp. It's different modem pitches with crackling static before it turns over to the sounds of church bells, which admittedly for me is one of the times when I wonder about the whole computer theme. The bells have this holiday feel to them, as if something out of "Home Alone 2" or "How the Grinch Stole Christmas" and then they are cut off by static. Words are spoken through heavy distortion as ambient laser tones accompany them in the background like fireworks. Back and forth water lasers and modem beeps end the side. On the flip side we have static blasts and boiler room shots. It's a modem connecting only that hiss is being manipulated. This changes into the sound of 90210 drama guitar notes and it is the second time I am left wondering about the computer connection, but that's okay because if it was purely computer based it would seem too obvious. 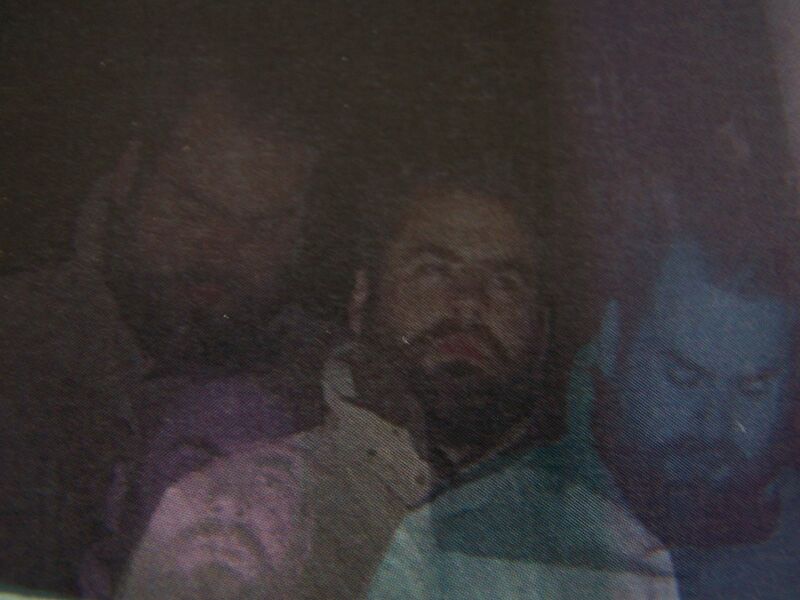 There is a ringing drone and then it all ends with sharp feedback in static sludge crawls. 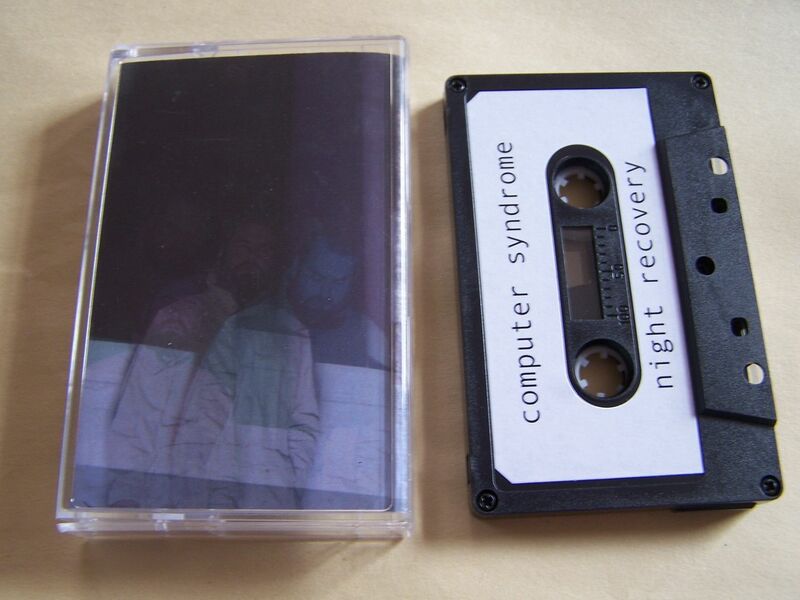 While this might not be that computer-based adventure I might have expected going in the first time, after several listens it has come to grow on me and become something much more than what I first heard as well. As a series of straight forward modem sounds that were being manipulated in ways this could become tiresome or boring (Maybe not, I guess we'll never know) and so to add other layers to it just makes it that much better. 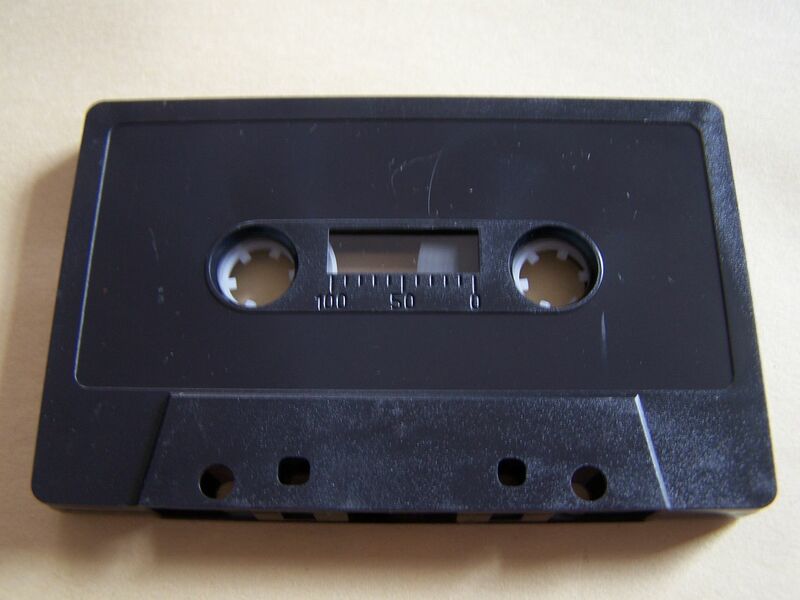 That is what this cassette is really all about- taking your expectations and going above and beyond them all.